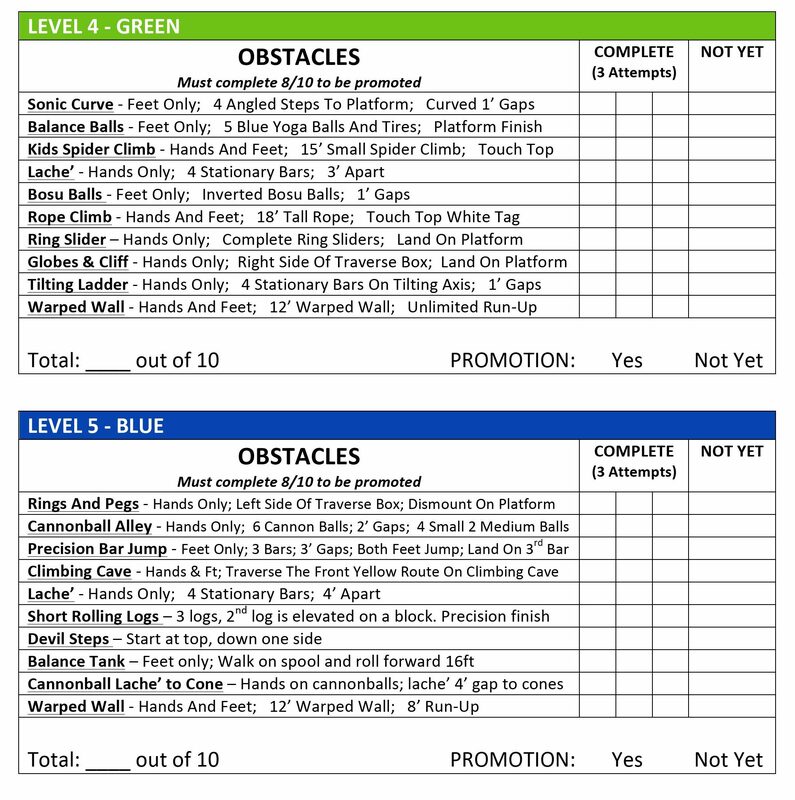 Saratoga Ninja Lab has created our own wristband system to help improve your ninja’s strength, coordination & skills, and better match our instruction to your ninja’s ability. 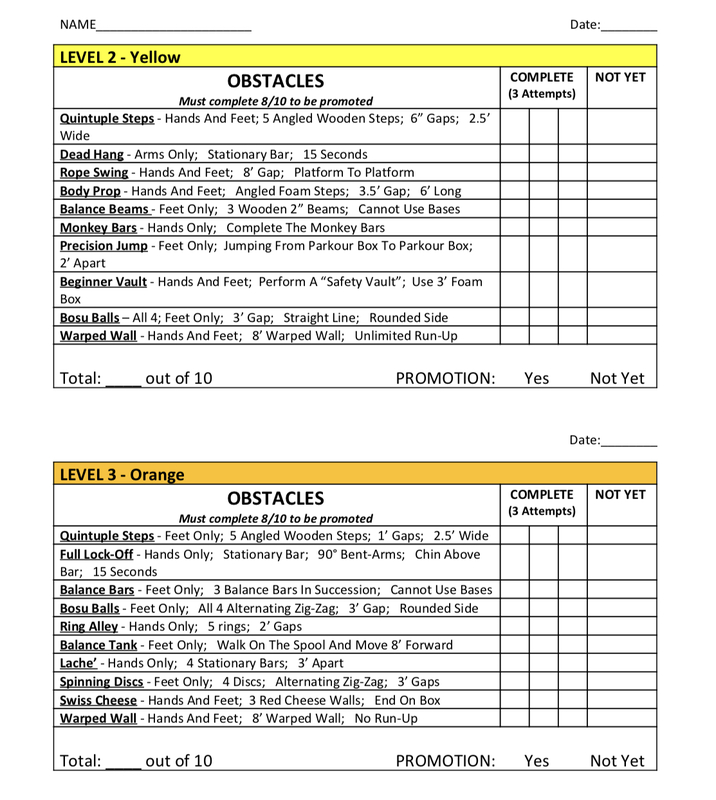 The Band System is a great way to keep your ninja motivated and focused on their training! Our band system features 8 different colored wristbands and works very similar to the belt system you’d see in martial arts classes. Every child who takes our youth class will receive a white wristband on their first day. 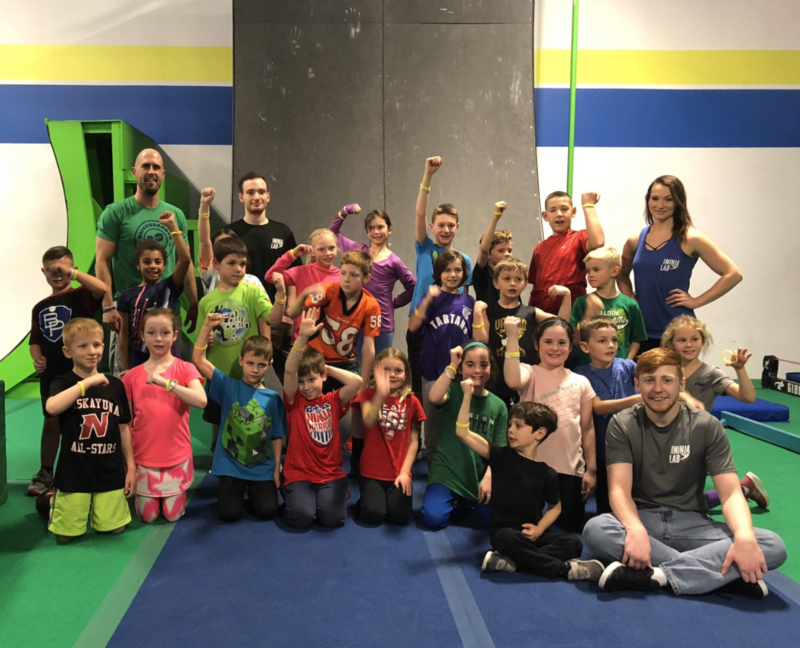 As your child continues their ninja training, they will have opportunities once a month to test for the next wristband color. Testing nights are scheduled one night a month (Friday or Saturday evenings) during a family open gym. 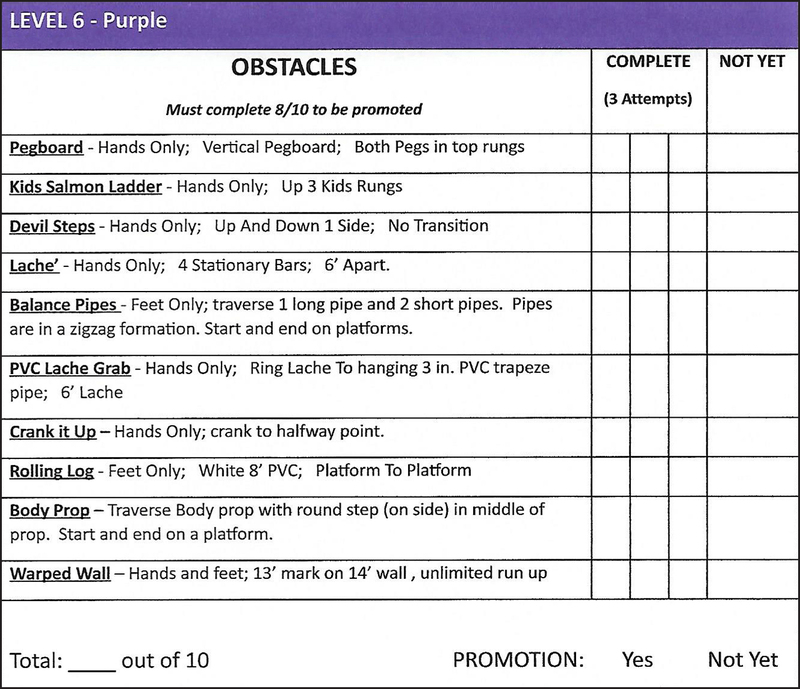 During testing, your child has three attempts to pass 8 of the 10 required skills to advance to the next wristband color. The further along your child is in the system, the tougher the requirements. If your child does not complete the minimum number of required skills to advance, they will have the opportunity to test during the next testing night or an alternate testing time can be arranged. Testing usually takes less than an hour, so your ninja can use the rest of the time as an open gym. 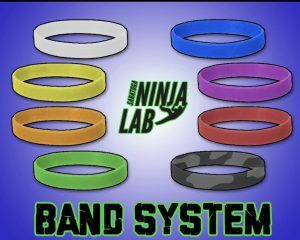 We also use the band system as a way to tell if your ninja is ready for a more advanced ninja class. We want to make sure that your child’s skills continue to grow and that they are challenged. More advanced band requirements will be posted shortly.